How to get there: Plenty of Car Park Space Available. Please visit https://www.ptv.vic.gov.au/ as your guide to public transport timetables, fares and accessible transport. Premier Tickets is an online event marketing and ticketing agency. 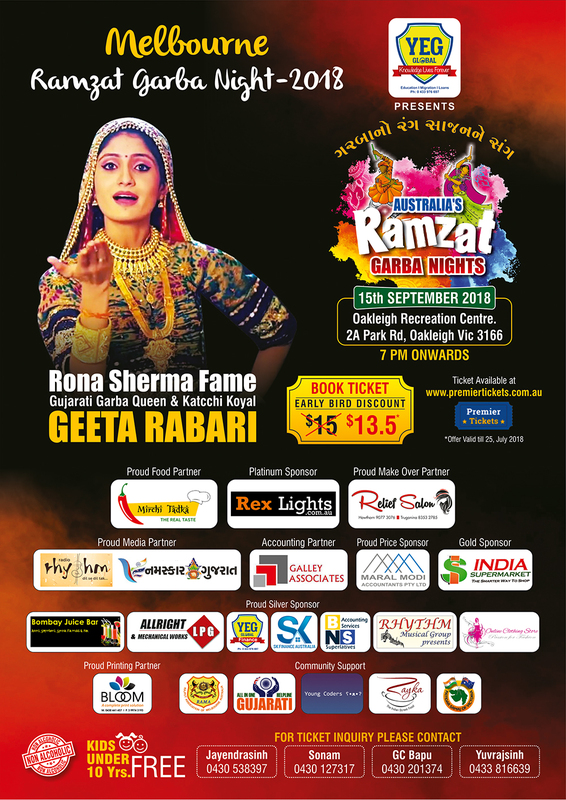 Premier Tickets will NOT be responsible for any changes related to the event schedule, artist, venue or cancellation and refunds related to the tickets for Garba/Dandiya Night by Ramzat – Geeta Rabri In Melbourne. Premier Tickets Australia is proud to be the online ticketing partner for Garba/Dandiya Night by Ramzat – Geeta Rabri In Melbourne @ 2A Park Rd, Oakleigh VIC 3166.